Looking for the ultimate ski destination with plenty of powder? Planned a ski trip but can’t find the white stuff? Enjoy tons of snow without tons of people in Big Sky Country. With many states reporting record low snow, Montana has seen the most consistent snowfall across the western U.S. and snowpack is being reported at record highs around the state. Five Montana ski destinations are reporting base depths of at least 40 inches on Montana’s Snow Report (http://www.visitmt.com/places-to-go/ski-areas-and-resorts.html) four of which are showing summit depths of at least five feet. This makes Montana’s overall snowpack the deepest in the rocky mountain region. Snow conditions are great and the temperatures are ideal for outdoor recreation. 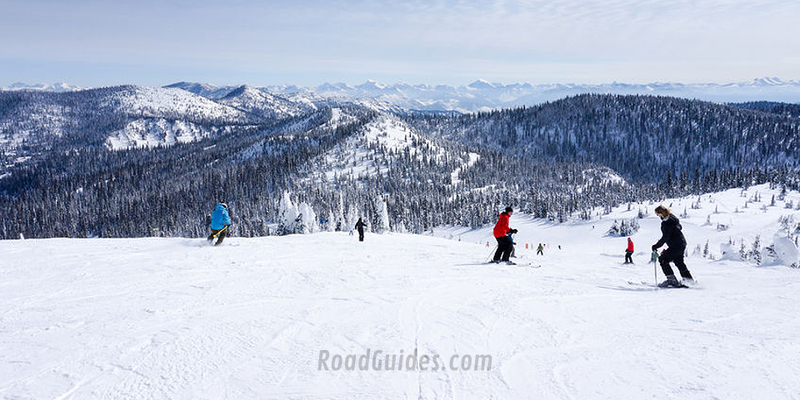 To help skiers chase the snow and catch the next flight to Montana, the Ultimate Ski Trips section of the www.VisitMT.com site offers ski trip ideas and itineraries for four areas of the state as well information about 16 of the state’s ski areas and resorts. The site also provides visitors with plane, train, automobile and bus travel information with booking a trip to Montana just a click away. Skiers looking for the best powder and views in the west without the crowds should head to Montana and check the Montana Snow Report for current conditions at http://www.visitmt.com/places-to-go/ski-areas-and-resorts/extended-snow-report.html. For more information about Montana ski towns, what to do and where to stay, go to VISITMT.COM. MOTBD markets Montana’s spectacular unspoiled nature, vibrant and charming small towns, breathtaking experiences, relaxing hospitality and competitive business climate to promote the state as a place to visit and do business.